Android Development like other programming languages requires the use of some basic essential components, programs and configurations to get started. Android Development requires a little bit of knowledge of the Java language which means the knowledge of Java is required to atleast get a grip of the Development otherwise you will just be a guy sitting in the sofa thinking about committing suicide after been dumped by your girlfriend, fired by your boss and accidentally misplacing your lottery card that has just won $100,000. Same applies to you, The you here stands for people who don't know what the Java language is or how to write programs in java. 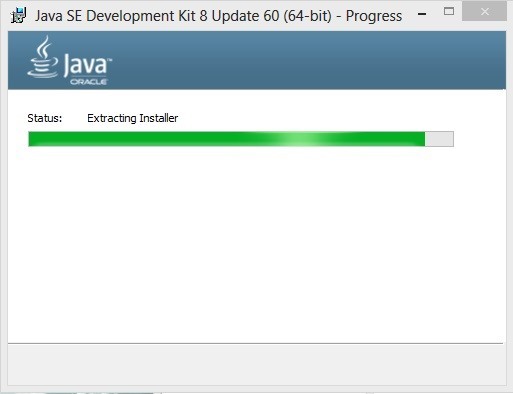 I would recommend you head over to Code Academy and get some 60% completion on the Java Course and be back, I will be right here waiting for you. 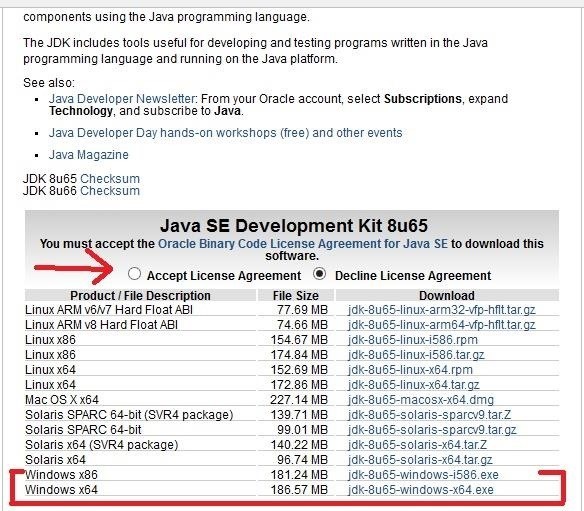 Ok, that been said, This tutorial assumes you know what Java is as I am basically not going to cover that. In Android Development, the following programs or files or configuration are required from the system of every developer or hacker as you are. 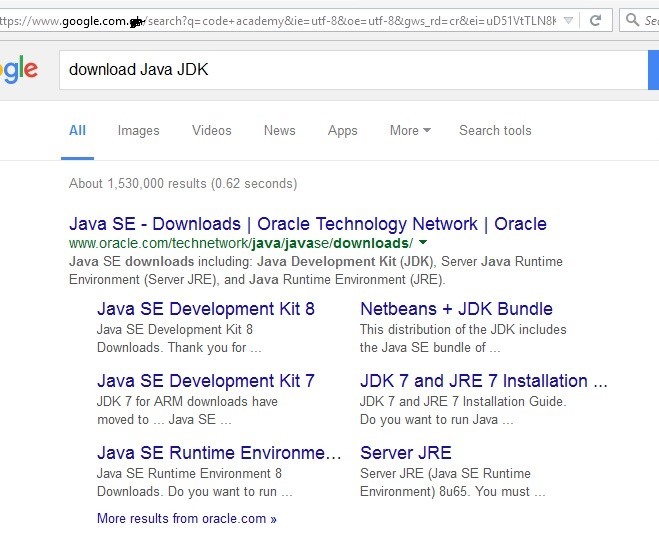 After clicking the link, We should now be served the Java homepage. x64 - Belongs to 64 bit users. No big deal !!!. Select your platform package and download it. Your browser's downloader should pick the file up. 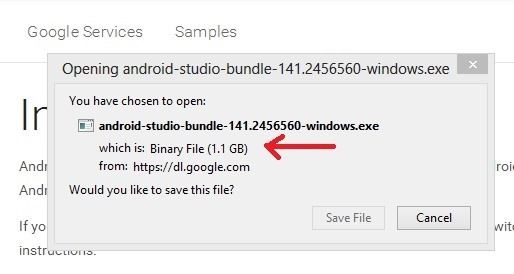 After downloading the file above, We can then run it by double clicking. This software is like all other softwares. We click Next and Next and Next until we see finish even without reading License Agreement which is very bad. Now, when prompted with this window. 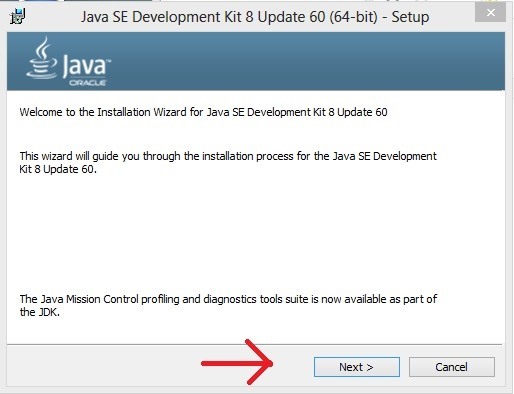 It is highly recommended to leave the Java location as default and click 'Next'. 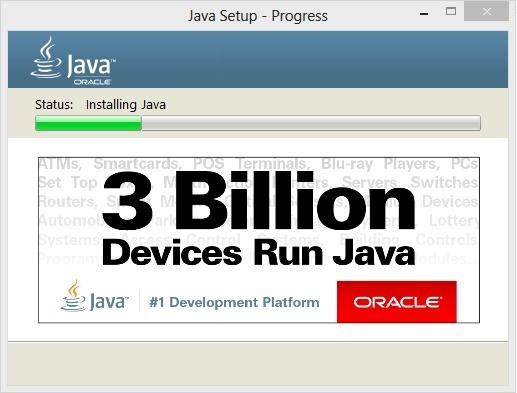 It should then start installing Java. After the installation is done. We should be presented with our finish dialog. 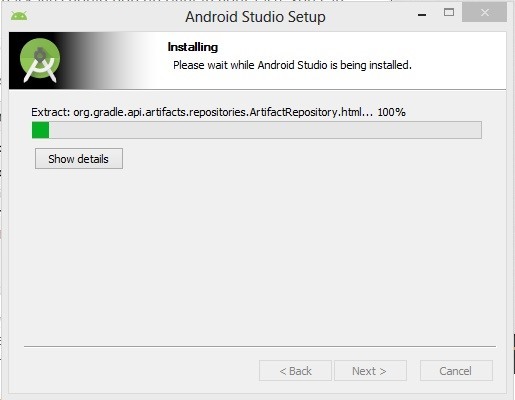 After installing the package, we should cross-check some few things before we download the android studio package. 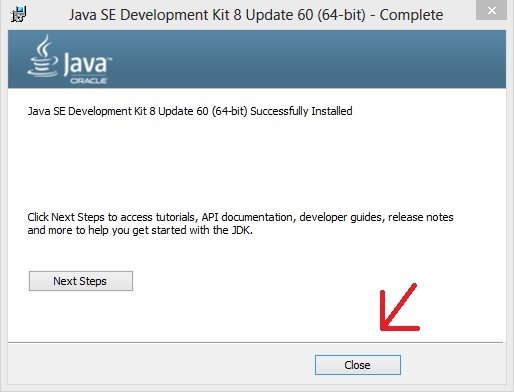 First, we need to set the JAVA_HOME variable in the user settings if it hasn't been created. 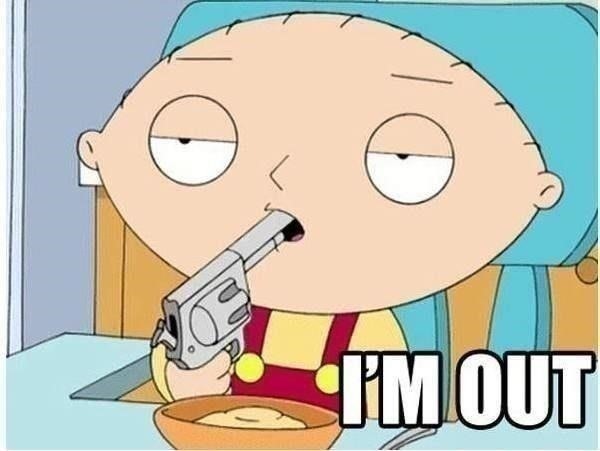 We move to the directory C:\Program Files\Java\<java version> where C: is your Hard Drive letter. In my case: C:\Program Files\Java\jdk1.8.0_60. If you have no problem accessing yours, then you are all set. 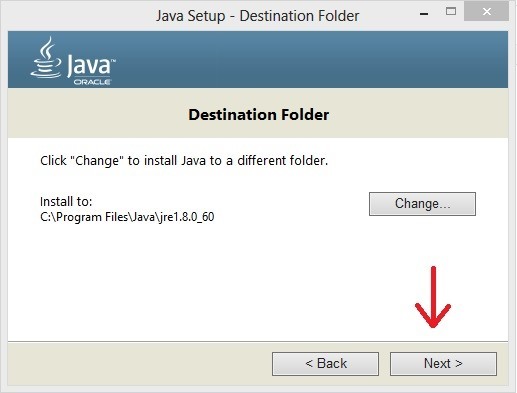 Note: There are two folders in the C:\Program Files\Java\. One is jdk and the other is jre. Bewarned, its jdk. 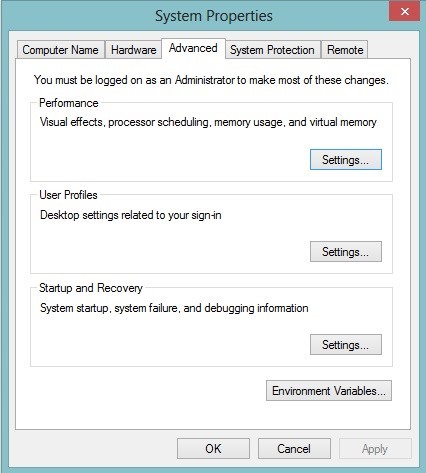 Open the Control Panel and Navigate to System and Security, and then click System and finally Advanced System Settings. This should be: Control Panel>System and Security>System>Advanced System Settings. We should have this dialog pop up. At the lower right of the popup dialog, there should be a button saying Environment Variables. Click on it and another cute dialog should pop up. 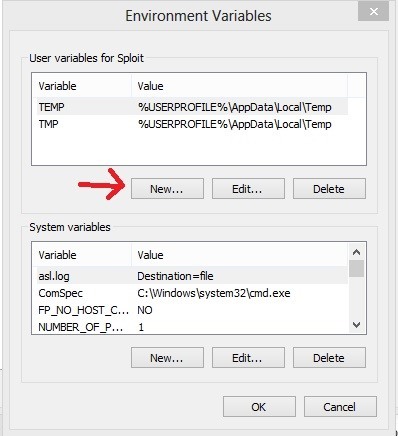 There are two sections of the dialog, The upper part is the User variables and the other is System Variables, We are interested in the User variables. Click on the 'New' button as the arrow indicates. Another marvelous dialog will pop up ask for two inputs ( Variable Name, Variable Value ). 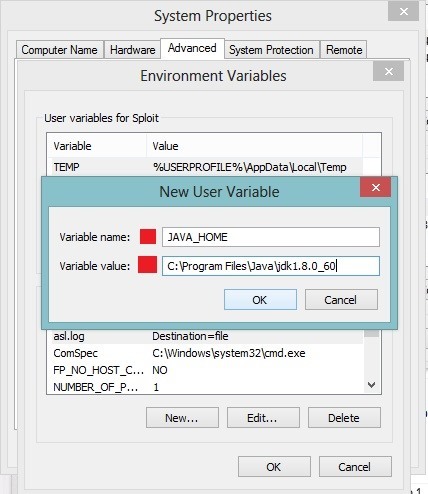 We set the value of Variable name to JAVA_HOME and set the Variable Value to the location of the folder we accessed earlier. Click 'Ok' and 'Ok' and 'Close'. 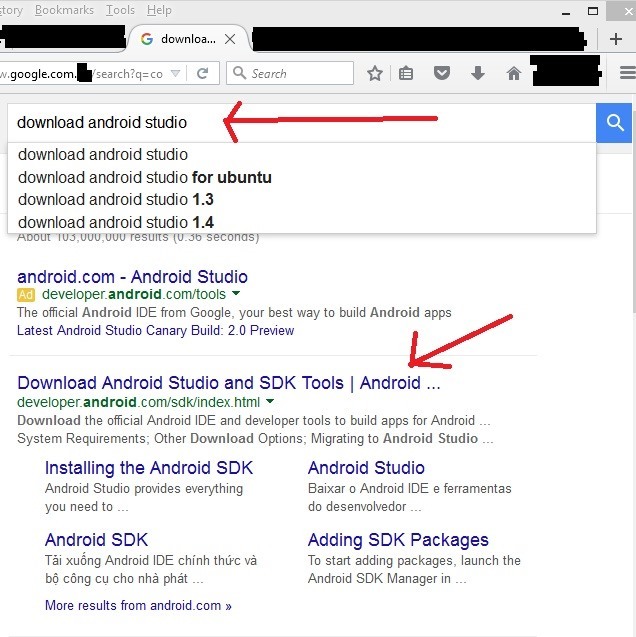 Lets head to google and download android studio. We use the first link. 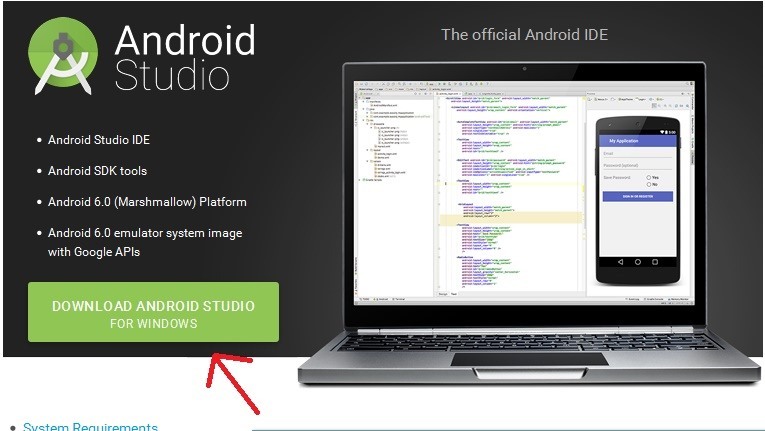 We should be sent to the Android Studio Page. 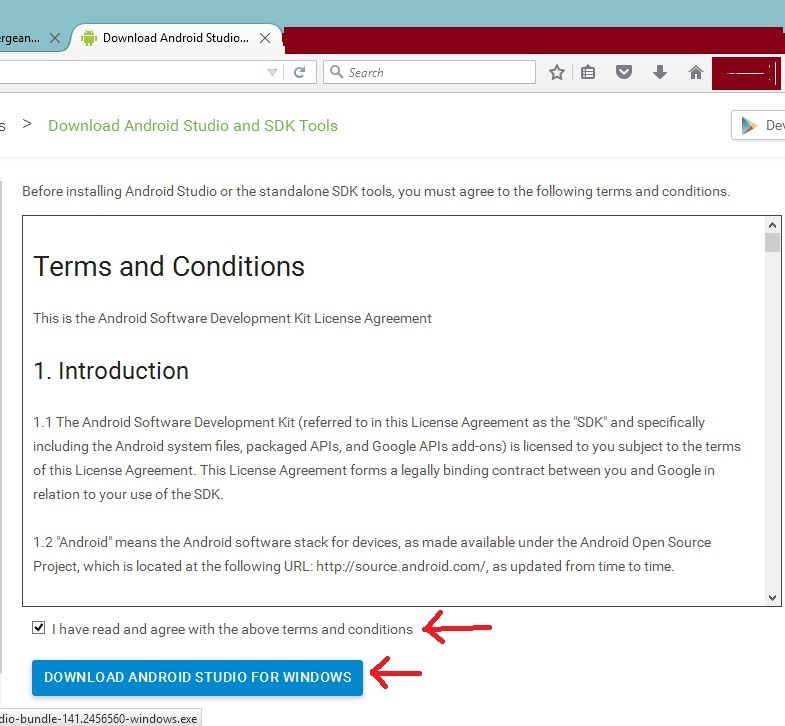 Click on the download button and that should lead us to the license agreement box. The License Agreement page requires us like all other forms to check the box before downloading. 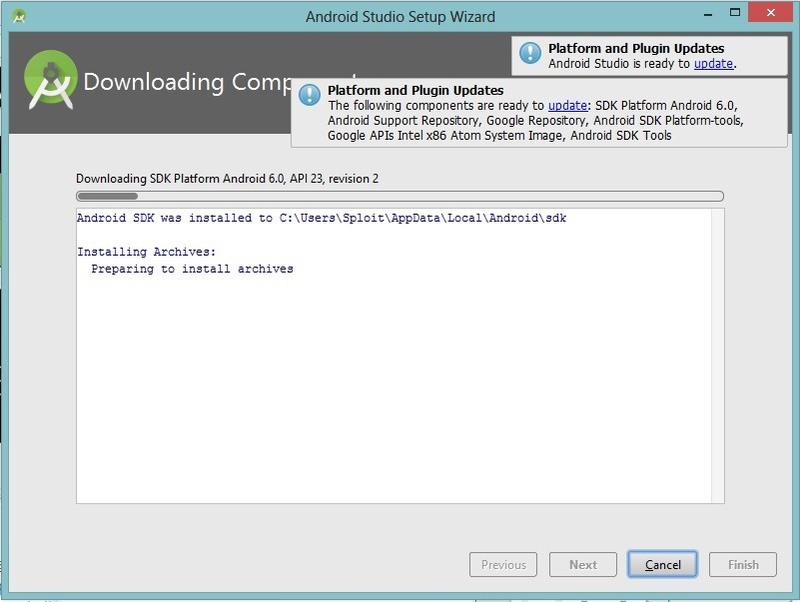 The android studio package should pop up right in your face. You can save it. This is where you feel as if the world hates you when you don't have a fast and active internet connection. Run your downloaded package file with administrative privileges. And rest is to click 'Next' and 'Next' until installation complete. It should take some time so you can take five. When it is done, Uncheck the 'Start Android Now' and close. We can also create a Desktop shortcut which is what I will be doing. 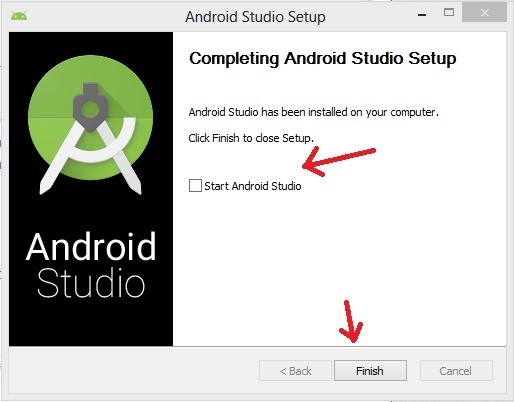 We are unchecking Start Android Studio because we want to start it as Adminstrator so kindly go to the program, Create a shortcut on the desktop and run the shortcut as administrator. During the first run, Its going to download some packages which is the most irritating of all so you have to give it some time to finish. After it is done, should you be the patient type, you can close the studio and wait for me to bring up the next tutorial before you open the studio again but if you are the curious type, I know you will be opening the interface to see how it looks. I will end it here and see you in the next tutorial. Wow, very detailed and lots of visual, great job! I wanna make it understandable by even babies. Thanks for the feedback. Means alot. Believe me. Even babies will. Good job Sergant! Great explanation. Cool !!. I like the way you express yourself. It makes understanding easier and faster. Thanks for considering people like us. The community probably and I really appreciate your efforts. where is the next tutorial bro ???????? ?